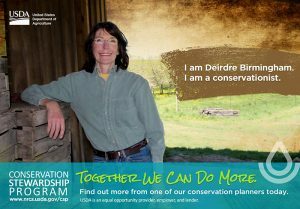 Conservation Digest - Page 2 of 7 - Becoming better stewards of the land. Becoming better stewards of the land. National Pollinator Week runs from June 18 – 24, 2018. Pollinators are necessary for the production of most of the fruits we eat, as well as coffee and chocolate. Livestock that produce meat and dairy products depend on forage pollinated by bees, butterflies and moths. Habitat loss due to development and high density agricultural practices mean less forage for native pollinators. Pesticides (especially neonicotinoids) kill not only bees, but butterflies and moths, as well as their caterpillars. 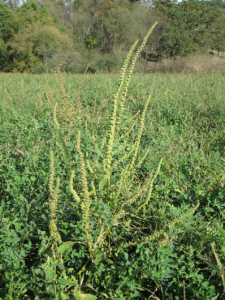 Invasive non-native plants have been found to reduce pollinator abundance and diversity. They also disrupt pollinator services to some native plants, which could reduce seed production. Help protect native pollinators and increase their numbers on your property. Activity guide (Go! 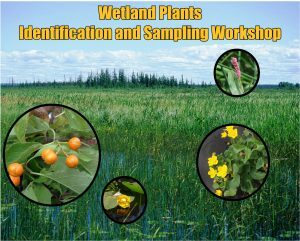 Wild) – learn about pollinators at Rocky Mountain National Wildlife Refuge, then match plants to pollinators and enjoy other games. Can you guess which animals pollinate plants in your yard? Podcasts – listen to broadcasts about native bees, endangered pollinators, pollinator gardens and backyard habitat, and a view a video clip from Green Springs Garden. Are you providing good habitat for pollinators in your yard? Webcasts ( Pollinator Live and Monarch Live) – take a trip on these websites to “see” monarch habitat across North America and learn about the great migration of monarchs, or learn how bees and other pollinators benefit people and how to attract them to your schoolyard. USFWS monarch butterfly website – learn about its lifecycle and migration, and how you can help save this iconic species. 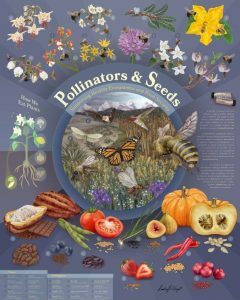 The Nature’s Partner’s Curriculum – fun activities for clubs, schools, and families to learn about pollinators. Children may need some help from adults with many of these activities. 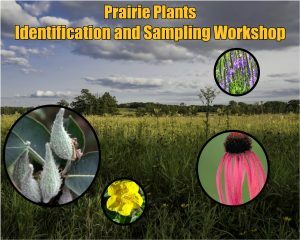 For more information check out http://www.pollinator.org. 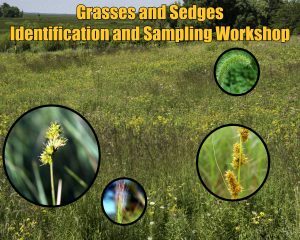 Want to learn firsthand skills you can use on your land? Your best bet just might be by helping somebody else. 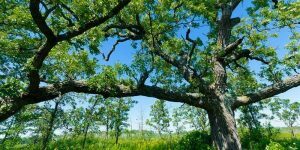 Every year dozens of volunteer organizations like the Nature Conservancy and Prairie Enthusiasts, Pheasants Forever and the Wisconsin Waterfowl Association donate thousands of hours to conserve the natural resources of our state. Most of the work is done on public lands or non-profit nature preserves. 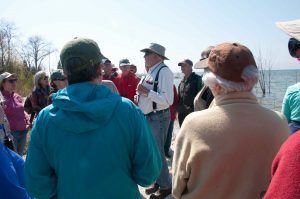 Volunteer groups will sometimes give their time to help private landowners who have conservation projects that support their mission. Contact one of these groups when you plan your next conservation project. Some hunting groups provide free or low cost professional consultation to help you develop your wildlife improvement plan. They may also help you find matching grants to help pay for it. 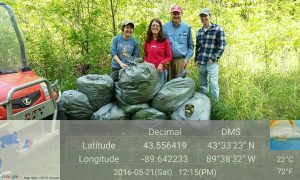 Wisconsin DNR welcomes volunteers at their parks, as well as state wildlife and natural areas. State park volunteers assist with a wide variety of tasks from hosting campsites and staffing visitor centers to maintaining trails. 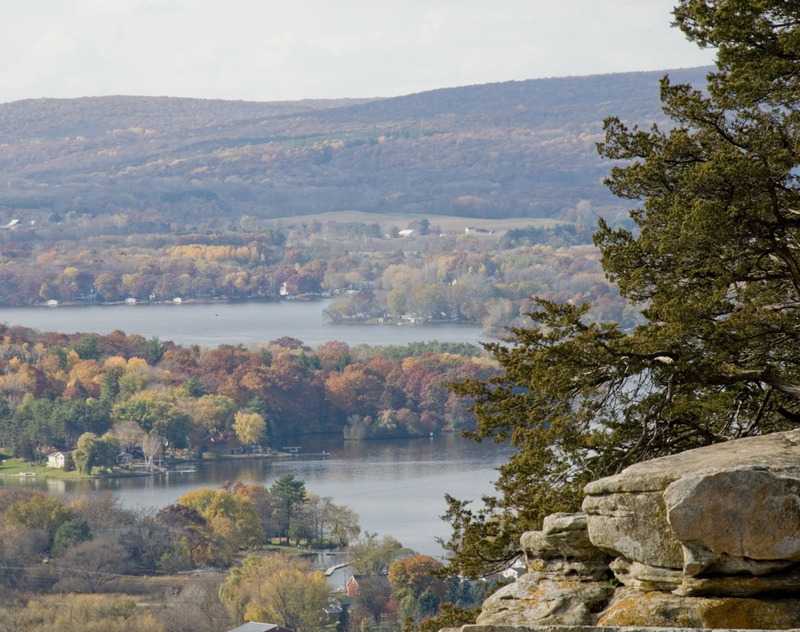 There are more than 650 state natural areas (SNA) protecting the natural heritage of Wisconsin. SNA volunteers help protect rare plants and animals; getting up close and personal with some of the coolest natural resources in our state. Trout Unlimited is one of those groups that help all of us by doing conservation work on Wisconsin’s trout streams. This Saturday, you can learn several important skills while helping to improve the shoreline of Smith-Conley Creek, south of Ridgeway in Iowa County. One additional piece of equipment that is likely to be used is a powered capstan. It is a gasoline engine that can be tied off to a truck or large tree. The engine turns shaft, called a capstan, that resembles a sewing thimble. a long rope is tied off to a tree and loosely wrapped around the capstan. An operator starts the engine and take up the slack on the loose end of the rope. As the rope tightens, the spinning capstan pulls the tree an the other load end of the rope, while the operator hold tension on the slack end. Powered capstans are especially useful for removing fallen trees from stream beds. The first time I saw a powered capstan at work I put it on my Christmas list. If you want to develop your conservation skills while helping out in the community, consider volunteering a few hours this weekend. You will get plenty of exercise, meet some new neighbors and maybe pick up some pointers you can use to improve your property. 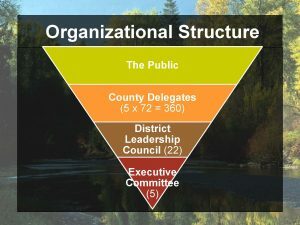 This year there are balloting for 360 elected delegates and 54 statewide questions before each county hearing. Among the topics up for consideration there are four questions about boat permits for non motorized watercraft. Another question deals with a $5.00 permit for use of fishery, wildlife and natural areas to provide money to help manage those 1.5 million acres of public lands. Many of the questions deal with specific resource issues such as bag limits for certain fish species on particular lakes, trapping rules in specified areas. Check out the 2018 Spring Questionnaire for full details. One question proposes lifetime fishing and hunting licenses. Two other questions have to do with conducting scientific studies that deal with several climate change issues. A thunderstorm is brewing on horizon as the current computer system used to tabulate results from each of the 72 counties is so old that its supplier is totally cutting off support for the application at the end of 2018. So far, no replacement has been selected. As a matter of fact, there have not even been any specifications published. 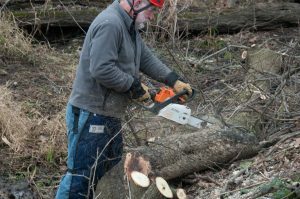 According to Wisconsin Outdoor News, the committee tasked with making recommendations is at the Conservation Congress convention in May. WDNR Liaison Kari Lee-Zimmerman, “We’re not going back to paper ballots.” With that option off the table and continuing with the current software likewise unavailable, the time is getting late to come source, procure, install and test a replacement system by April 2019. 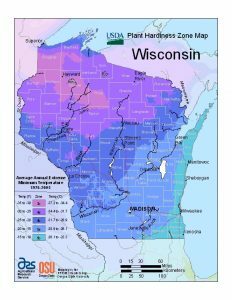 Plant Hardiness zone map provided by USDA. Deciding what plants will grow on your land takes some thought. While we all know that you cannot grow bananas in Ashland, figuring out what to plant where can be a challenge. One of the first issues here in Wisconsin is the weather. Summers can be miserably hot while the cold … well, I don’t have to tell you how cold it gets. Still, where you live within the state makes a difference. Plants that grow well for you in Sturgeon Bay may die in the backyard of your brother-in-law who lives in Chippewa Falls. The difference (aside from your brother-in-law’s black thumb) because the climate between the two properties is their climate zones. Both cities lie along the same latitude but their climate zones are very different. 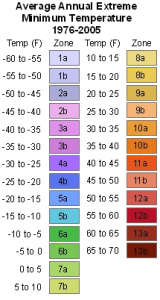 The USDA plant hardiness zone map provides a convenient tool for determining the plant climate zone for your property. Nurseries and seed producers across the nation use this system to determine how they will guarantee hardiness for the plant stock and seed they sell. Landowners should consider whether the place they want to plant has a microclimate that could alter their planting decision. Areas sheltered by buildings or south facing slopes might have warmer microclimates than the hardiness map. On the other hand, steep north facing slopes, especially those in dense woodlands, have microclimates cooler and wetter than the surrounding landscape. USDA hardiness zones should never be the sole criteria for selecting plants. Remember to look for plants that thrive with your soils and sunlight conditions. Those factors, just as much as cold tolerance, will determine whether your choices are happy or fail. 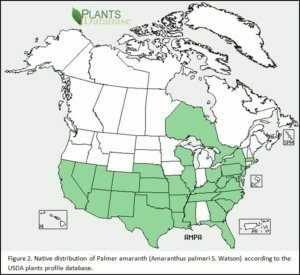 Our plants page contains other online tools as well as plant related resources and links to authoritative plant information. Line crew lights flanking fire in tight fire break. The spring melt means that the very best time to control invasive brush and weeds starts this week across much of Wisconsin. Whether you manage an acre or several thousand, nothing beats controlled fire for land conservation. Public land managers know this very well. The Wisconsin Department of Natural Resources start their annual burn season any day. Controlled fire can knock down invasive trees, shrubs and weeds like nothing else. The Wisconsin landscape is adapted to fire. Many native plants tolerate low intensity fire and some even require it. Because controlled burns are used in the late fall or early spring, while native plants are dormant, most are completely unaffected. Effective use of prescribed burns can get more done in a day than months of hand pulling or weeks of spot herbicide treatments. It is cheaper than broadcast herbicide treatments; without harming native plants. 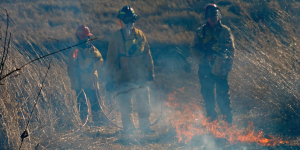 The Prairie Enthusiasts will hold a prescribed fire training class this Saturday. The one day class is designed for people without previous burn experience or those who want a refresher. Here is a great place for those hesitant about using controlled fire to start learning the skills needed to confidently use fire on their land. 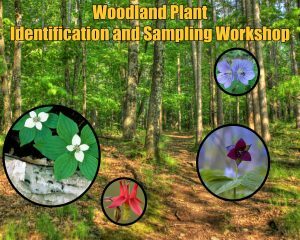 This training follows the guidelines of the Wisconsin Prescribed Fire Council. Successful participation in this training, plus working on two TPE burns as an apprentice, provides qualifications to be a new crew member on TPE burns. Check out our event announcement for more details. Two crews prepare for prescribed burn of prairie. Volunteering with groups like the Prairie Enthusiasts of Nature Conservancy will give you the experience and confidence to put controlled burn to work for you on your property. 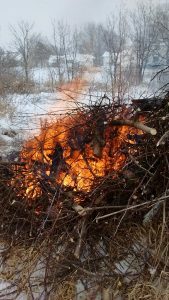 There is more to burning a brush pile than dousing it with gasoline and throwing a match at it. 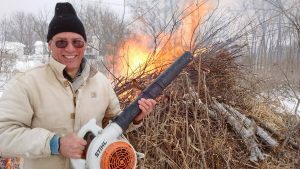 Mid winter is a great time for brush piles burning in Wisconsin. My wife Anette and I unpack the Forrester: first the sled; then the leaf blower, pump sprayer and torch fuel. Fill the chainsaw with gas and bar oil. No need to bring along extra as the saw will see limited work today. Some snacks, tea and juice will keep us happy through the upcoming afternoon. Finally, I tuck some dry kindling and a roll of old construction prints what will be our starter. A mid January thaw during last week put the burn day in doubt. Forecast snow on Sunday night meant plenty of snow cover for the Martin Luther King holiday and our brush burning. A moderate snow, light winds and weather in the twenties meant we will be comfortable all afternoon. The sled is half full and that is just fine with me. Anette grabs the rake closes up the car are we leave the county highway behind. The local snowmobile club came through this fall after harvest and dragged a beautify trail across the corn stubble. Access to the Vermont creek will be quick and smooth. I throw the rope across my shoulder and make fast work of getting to the easement. Our first brush pile was made during two days work in early and late fall. The pile is made up almost entirely of honeysuckle and buckthorn with a couple small boxelders for good measure. The first task is blowing the snow off the pile and clearing a small ring around the pile. It takes one calorie to raise the temperature of one pound of liquid water one degree Fahrenheit. To melt that same pound of ice to liquid water requires 36,150 calories of heat. To take that pound of water from 32 degrees to its boiling point requires a mere 180 calories of heat. However, to boil off that heat and drive it out from soaking wet wood require a colossal 241,765 calories. This is called the latent heat of melting and the latent heat of evaporation. That frozen wet wood on my burn pile needs to thaw out heat up and drive off its water, then continue up to the 700 degrees needed for wood to Ignite. Now consider that there is a cold wind trying to carry off the precious heat from my fire. No wonder it is so hard to get a brush pile to burn in the dead of winter. Blowing the snow from the pile and around it suddenly makes a lot of sense. So does bringing along paper and dry kindling. These will make sure I have fuel that can easily light and stay burning long enough to dry our surrounding wood in the pile. Torch fuel is a two to one mix of diesel fuel and gasoline. Diesel has a low ignition point but a high flash point which makes it much safer to work with than straight gasoline. A wise friend finally put me straight about using accelerants on brush piles. “You don’t want the torch fuel to burn. You want the torch fuel to make the wood burn. Let it set there for ten minutes and see what difference it makes.” He was right! All my life I would pour fuel on a pile and light it, never understanding that the fuel was sitting on top of the wood and burning itself off without heating up the wood enough to get it to ignite. Now I pour on a quart where I would have used a gallon. By walking away for ten of fifteen minutes, the diesel has time to soak into the wood. There is no big whoosh of flame, instead the dry kindling and paper take off and heat up the surrounding wood that is ready and raring to burn. 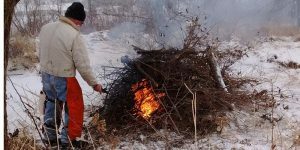 Snow on the ground means embers will not ignite surrounding vegetation, making it safe for a couple of people to burn several piles at once. 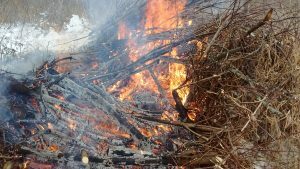 Many towns are weary of issuing burn permits in the spring and fall when dry grass and leaves make spot fires from brush piles a real danger. 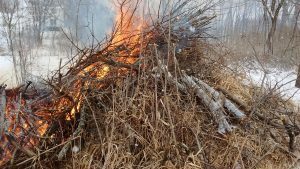 Winter burn permits are easy to get and are easy to watch. Anette keeps vigil using the rake to push remaining branches from the edges into the coals where they are quickly consumed. I head upstream to a downed tree that needs to be cut and stacked. It takes a half hour to get the pile set, but because this is a black walnut that is not yet finished drying out, our efforts to burn the pile meet frustration. After several failed attempts, it is time to move on to a third pile. Like the first pile this is one has plenty of honeysuckle, which burns easily, buckthorn that burns okay when dry and preheated, and boxelder that has laid there for several years. As this large tightly packed pile springs to life, Anette breaks out cookies, chocolate hot tea. The snow is flying all around; we relax and enjoy the now fading sun as it forces itself through the snow and cloud cover. As the sun begins to fade, I once again take out the leaf blower. There is a large bed of coals and large sections of trunk burning in the middle of the fire. There remains plenty of brush around the downwind edge of the pile that I am in a hurry to dispatch. Braving the smoke, I rake the remaining unburned fuel into the hot center where it sits listlessly. The small pile seems to be waiting for an invitation to burn. So I supply just such an invitation. My leaf blower comes out of the sled and springs to life. Its supercharges stream of air turns the bed of coals into a blazing forge. The coals become furious and through intense flames and heat that make short work of the remaining branches that threatened moment earlier to suffocate the those same coals. A few minutes running around the edge of the fire with the leaf blower moves the mixture of snow, leaves and twigs at the margin out into the snowy barren reaches beyond. A wide patch of charcoal black mineral soil now separates the two worlds and provides a safe barrier for the remaining wood to finish consuming itself. We pull back across the field and wipe off the snow from the bottom of the sled. It slides into the back of the Subaru as the last rays of sunlight fade.